REACH(c) facilitators deliver instructional support using four types of strategies. Once a clear plan of action and intended outcomes are discussed and defined with the school leader, the facilitator works with the assigned teacher(s) to determine the best strategy for delivering instructional support. Of course, our service is unique to the individual school and teacher, so other techniques are incorporated in the delivery of support, if one of our four strategies is not deemed to be the best fit for support. REACH(c) facilitators are always prepared to create and implement strategies that best meet teachers' needs. The Electronic Real-Time Coaching-In Support (ERTCIS) protocol is delivered by a REACH(c) facilitator during instructional time in a classroom. After the teacher participates in two professional development sessions, the first focused on ERTCIS cues and phrases and the second focused on norming the understanding of when and why a cue may be provided, the teacher receives real-time coaching via our headset transmitter and receiver protocol. This protocol is highly effective because instead of watching a teacher struggle with delivering instruction, the facilitator is able to make suggestions and point-out opportunities for better teaching strategies during the lesson. The protocol is also used with students to promote engagement and student ownership of learning. 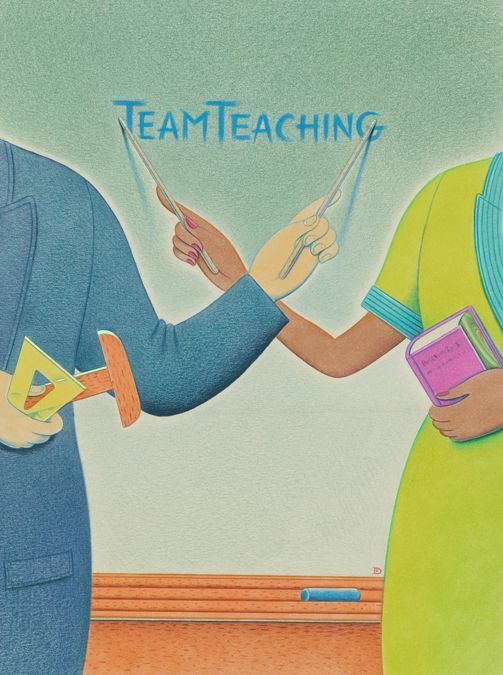 When the REACH(c) facilitator discoveries that the teacher can benefit best from real-time modeling and coaching, the protocol used may be team teaching. This protocol includes the use of the REACH(c) Volleyball Protocol (RVP). The RVP allows the facilitator to incorporate mentoring and coaching support within the same lesson. Once the two agree on what should be taught, they review the strategies that will be modeled or coached, during the lesson. This approach allows the facilitator to chime-in, redirect, and guide the teacher's responses to students' needs, during the lesson, without the facilitator appearing obtrusive or supplanting the teacher's authority. REACH(c) facilitators model lessons when teachers are learning the new skills or content. When the REACH(c) facilitator models the lesson, the teacher is expected to take notes specific to the strategies the teacher is learning. Modeling lessons enables the facilitator to transfer tacit knowledge, which research has proven can only be transferred when it is modeled. An explanation or verbal directions of tacit knowledge does not allow for the person obtaining the knowledge to ascertain it by a mere discussion. Modeling strategies and practices allows the teacher to observe when and how modification should take place and which strategy is best to employ at different points of a lesson. Observation-based mentoring is aligned to specific REACH(c) observation protocols. These protocols include observing student engagement, questioning techniques, teacher-student interactions, clear expectations, teacher's use of assessment, teacher's use of learning data, or the presence of intellectual safety in the classroom. Prior to the observation, the facilitator and teacher meet to discuss the specifics of the lesson to ensure that the lesson is well planned. This pre-meeting ensures that misaligned planning is not an impediment to observing the agreed upon strategy. Once the lesson is observed, the facilitator and teacher meet to discuss the details of what was observed and next steps for improved instruction.